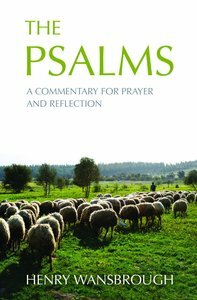 :This is a helpful companion for anybody wanting to venture deeper into the Book of Psalms for personal reading and prayer. It also offers guidance for those preaching the Psalms and using them for group study and worship. Revised and expanded from readings first published in BRF's Guidelines notes, the book provides accessible comment and reflection on every one of the 150 Psalms in Scripture, Henry Wansbrough draws on his years of living and working in the Middle East to provide insight into the historical, literary and cultural background, as well as showing how these ancient texts can still guide and inspire us in our Christian walk today. About "The Psalms: A Commentary For Prayer and Reflection"
Dom Henry Wansbrough OSB is Master of St Benets Hall, Oxford, and editor of The New Jerusalem Bible. Besides lecturing and broadcasting both in England and the USA, he has written many books in Genesis and Luke (People's Bible Commentary and The Passion and Death of Jesus . He is the only English member of the Popes Biblical Commission.